Has the BCCI taken our cricketers for a ride? 1 Comment on Has the BCCI taken our cricketers for a ride? For cricket aficionados, ever since the England tour commenced, it has been a season of heartburn or a chronic stomach upset. Overnight from being infallible role models, the Indian cricketers have been pulverised into a syrupy pulp, and the demand for their heads to be guillotined has risen into an unstoppable crescendo. 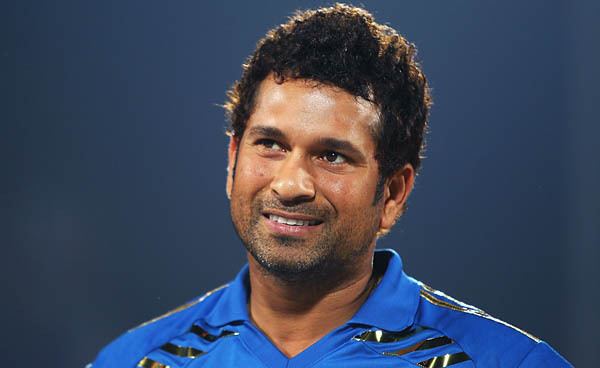 No one is being spared; in fact the sacrosanct territory of the hitherto unimagined Sachin Tendulkar has also been breached. MS Dhoni, not so long ago in hot demand by Corporate India as role model CEO Captain Cool is seen as chicken-hearted, unduly circumspect, uninspiring and insipid. It has been a cataclysmic downfall. Of course, the Board of Control for Cricket in India big daddies and their pusillanimous selectors have casually blamed the ignominious defeats on the vagaries of the game; fair enough, but hardly substantive or convincing. While several reasons are attributed for India’s abject surrender, from ageing seniors, tyro bowlers, sloppy planning and scheduling, feisty opposition and phlegmatic leadership, there is one cause that resounds with venomous intensity in most animated discussions among all assortments of critics: the summer jackpot called the Indian Premier League. There seems to be general consensus that the embarrassing riches doled out by eager-beaver franchise owners soaked in material hubris and gargantuan egos have destroyed player motivation by making everyone cash-obsessed, the allure of the club far exceeding the honour of the country’s cap. While obviously the uncapped youngsters are bound to be susceptible, it even entraps the supposedly cultured seniors. After all, the colour of money is the same for all. It is near impossible to contradict this hypothesis. While players are understandably the convenient visible scapegoats, the fall guys, the Big Bosses of BCCI, are scarcely affected, the buck never stops with them, although they control those bursting treasure chests. Thus, the critical question is since IPL is here to stay (despite the Sahara pull-out, falling TRPs and endless controversies), what could be the possible way forward without IPL disrupting India’s cricket structure in an irretrievable damage? To understand that, let us define the problem: there is a humongous difference between official monies and IPL dole-outs, which makes the latter a relatively attractive proposition for the players. Hence, players prefer a quick burn-out in IPL as opposed to the rigorous sessions of serious Test cricket. The results definitely reflect that. So what should we do about it other than lachrymose lamentations? There is an option. There is actually a simple solution to solving this whole money tangle; reduce the disproportionate pay-outs between official/match fees and the IPL. Currently, it is the skewed pay-outs between paymaster BCCI and paymaster IPL that are causing the ridiculous mismatch. And the BCCI is solely responsible for this lopsidedness. Let me explain. Thus, the total expenditure of BCCI on its 24 superstar contracted players representing India, the crème de la crème of Indian cricket, is a measly Rs 14.50 crores. Considering the BCCI is the richest board in the world, this is roasted peanuts (as a percentage of total revenue of Rs 1614 crore it is 0.89 per cent ). Even if you were to add match fees assuming a fairly liberal mix of 15 Test matches and 30 ODIs on an average for Grade A players, it would aggregate to a maximum of Rs 2.25 crores (Rs 7 lakhs for Tests and Rs 4 lakhs for ODIs). Thus, a Sachin, Sehwag or Gambhir would make roughly Rs 3.25 crores at maximum stretch for all-year long duty. The IPL in seven-eight weeks gives them three times the amount; clearly the official match fees/ contract distributed is laughably low. It is a disproportionate difference. The BCCI is fully aware of the atrocious mismatch but keeps a conspicuous silence. Therein lies a twisted accounting tale. Apparently the players were supposed to earn 26 pc of gross revenues of BCCI from all sources in an agreement arrived at between players and the BCCI , but this was surreptitiously amended to just the BCCI portion (30 pc) of the TV revenue, with the remainder quantum of 70 pc channeled to state associations (to ensure vote bank perhaps). In simple arithmetical terms, instead of getting Rs 26 out of Rs 100, the players remuneration is now truncated to 26 pc of Rs 30 (Rs 70 goes to the various states) which is only Rs 7.8. Thus, in short, the players get ONLY seven-eight pc of cricket’s revenue (from just TV rights, that too). That is an extraordinary downslide, I am sure you will agree. Were the players aware of this definitional change in accounting income? To the best of my knowledge, no one knows. Of the 26 pc, 13 pc goes to international cricketers, 10 pc to first class players and the balance 2.6 pc to junior cricketers. In the year 2010, the total players’ share (including domestic and international) of gross revenue was Rs 212.20 million ($ 4.4 m). Now isn’t that a magnanimous largesse from the world’s richest board to its gladiators, the men who sweat it out to create the TRPs, gate monies, sponsorship rights, win a World Cup, capture public imagination and make cricket India’s insane obsession? The total amount of US $ 4.4 million paid in aggregate as player compensation in 2010-11 is less than a single endorsement fee of Sachin Tendulkar or just twice the amount paid to Gautam Gambhir by his franchise owner KKR. Isn’t that ludicrous? Bonus etc are paid separately, but India cannot win the World Cup every year, can it? Interestingly, most/all senior BCCI office-bearers are honorary, so where does the salary costs go? Funnily, no one asks BCCI officials what is going on. The BCCI will argue that Indian cricketers are among the best paid sportsmen but that is irrational logic, like comparing apples to avocados. Cricket’s humongous brand valuation is created by its players; why are they paid such a paltry official fee from the BCCI? Even the oft-repeated instance of star players getting large product endorsements is disingenuous and exaggerated. In reality, only a few benefit. Endorsements distort the financial assessment for a singular reason, it is not uniform, and purely driven by cricket personality engaged by the advertiser. Thus, only select players with market-friendly brand-profiles like SRT (master-class), MSD (young successful leader) and Virat Kohli (chutzpah and flamboyance) dominate the space. As for the others, one swallow does not a summer make. That’s why for several cricketers like VVS Laxman, Virender Sehwag, Munaf Patel, Ishant Sharma etc, endorsement fees are non-existent. Endorsement is not performance-linked alone, thus distorting the commercial valuations of a player. The extremely talented Anil Kumble, for instance, never got his due. BCCI needs to enhance official contract value to: Grade A (Rs 7.5 crores); Grade B (Rs 5 crores); and Grade C (Rs 3 crores). Match fees need to be increased to Tests (Rs 20 lakhs) and ODIs ( Rs 7.5 lakhs), T20 (Rs 4 lakhs). Domestic cricketers should get a fixed fee of Rs 5 lakhs per match in the Elite Division and Rs 3 lakhs per match in the Plate Division so that during the off-season they are not searching for jobs but have sufficient savings to work on fitness, practice and preparation. This should be over and above their prize monies. 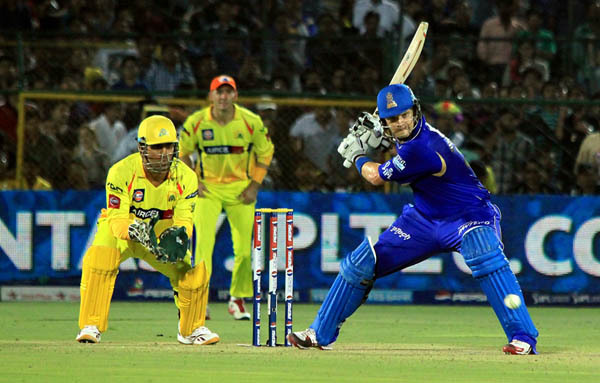 Reduce IPL to a maximum of 30-day spectacle with teams of eight divided into two groups; each team playing the other twice on a home and away basis. Following the semi-finals between the top two teams from each group, the finals can be in the best of three format. The advantage of an abbreviated IPL would be a limited number of matches will reduce spectator-fatigue, give players the much-needed break from an interminable itinerary, and from the commercial standpoint, it will increase effective ad rates, augment sponsorship interest given small property inventory and make IPL a more sustainable value proposition. Even the franchise owner /TV rights-holder ought to be happier or else they could be appropriately compensated through downward adjustment of unpaid fees for reduced matches. Obviously, player fees would be rationalised too and come closer to parity with official BCCI pay. Players could then even choose to overlook the IPL altogether as they would be handsomely rewarded for doing the national honours. The country vs club debate will cease to be relevant. If there ever was a need for a players’ association in India, the time is now. It is time someone belled the fat cat. BCCI has a lot of explanations to give. And this time it may not be enough to blame Lalit Modi. 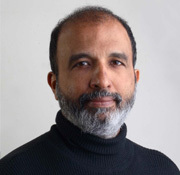 Sanjay,a very good point you have raised is that it should be difficult to play for India therefore the Money should also be higher in case of Test matches,ODIs and Official T20.But BCCI wants to get away with wrongdoings therefore the mismatch,the spot fixing issue has been deliberately delayed so that it benefits the big fixers.Why only one team,only three players?There is more mess.